Re: Step by step lithium conversion? Search the part numbers for cheapest local supplier... REALLY not cheap, but extremely good quality. You better make a good job of it!!! Don't forget to get two 25 pin metal sub D shells. Allows 40A charge, and has enough small pins for your 9 balance wires with some spare. So one connector good for 8 cell battery. If you are 45 or 48V you need two cables. Where 2 large pins are used for charge current. 9 small pins used for balance connectors. Leaving 1 small, and 1 large pin unused. These could be linked on the charge lead, to provide a circuit that closes when you plug in, to switch of the chair via its inhibit system if you wish to stop it driving while on charge. Where 0 is the POS on the balance connector on the charger. And 8 is the NEG end of the ribbon. Or http://www.wheelchairdriver.com/BM3-con ... le-40A.jpg full image. 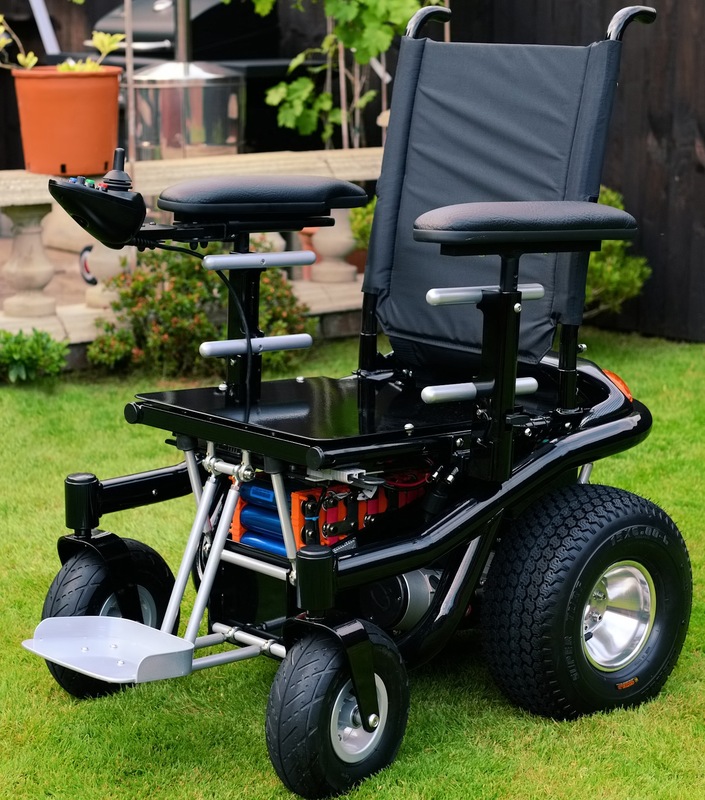 http://www.wheelchairdriver.com/BM3-con ... nector.jpg Full image... If your screen is small. I am using the 2 plug system (power leads plus balance leads) which I think will be more flexible over future devises... but I can see great value in the one plog approach if one must rely on a carer to plug in to charge. Just simpler. 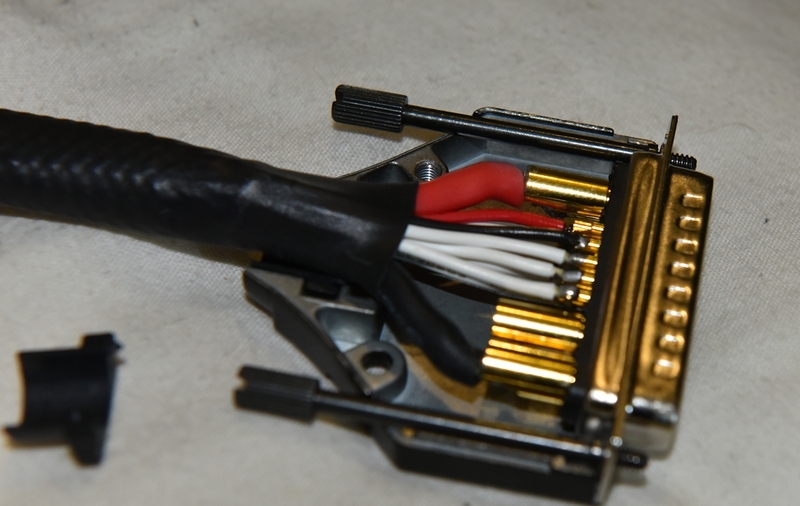 These incidentally are the same connectors used on Invacare GB Motor setup and wiring loom. John,my new bm3 bat.box has 18cm internal width...15A fit,i think ? JUST HAVE TO POLISH 2mm at HOLDERS...? Battery area in the centre section should be 174mm. That allows for 12Ah cell, plus orange building blocks, and connecting plates, 6mm allen screws, and a plastic/nylon insulating plug to fit between the sides without a massive short circuit and a fire! and a plastic/nylon insulating plug to fit between the sides without a massive short circuit and a fire! The end screws, are all X heads. These are hopeless, throw them away. Buy cap (allen) head bolts. Fit every one with a nylon cap as per the image. So if one comes loose, it cannot touch the metal centre section sides and cause a short circuit. They are all live! nandol wrote: and a plastic/nylon insulating plug to fit between the sides without a massive short circuit and a fire! The exposed live terminals of the Headway cells will touch the sides of the metal battery box - so you need some sort of nylon or plastic insulation to prevent a short circuit. Do you understand? Say 'no' - if you do not understand. Can you provide some jpegs of your battery box? The thin plastic hold offs on the orange spacer blocks are intended as a safety devise to prevent shorted terminals. The plastic caps BM shows are a double safety & I applaud that. Or a sheet of a non-conductive material could be installed inside the box. Better safe than sorry. It would be a b*tch to short out our chair after putting so much work into it. Notice the screws in the ends of the headway cells each have a black nylon hammered in CAP designed for the allen screws. There are 78 cells. So there are some 156 caps to hammer in! CHECK EVERY BOLT IS TIGHT before you do this. Most people miss a few and have balance problems. These are available as trim parts for motorcycles, cars etc. They are a tight fit into the head of the bolt. If the screw comes loose, it still cannot touch the metal sides of the centre section. Apart from 180 meaning the actual terminals will touch, the blocks will all need to be trimmed down, and they are also taller so 42mm? per cell rather than 40 with the blocks. For 24V 108Ah you need a battery that is 72 cell. 72 means 72 12Ah cells. And 108Ah. (more than double+ your old battery). That's 6 cells tall, and 12 cells long. That's 6x 40mm tall, and 12x 40mm long. This means you need to measure carefully for a battery that is 240mm tall. And 480mm long. And 173mm Wide. My battery is 13x 40mm long. And 78 cells. So is 520mm long. If you have 520 long space you could fit 2 extra cells on the top, for 80 cells total. Under the seat. What sizes are the cable sleeving? And would 12 core trailer cable be ok for the balance cables on the chair side to the female connector? I have some 8 awg silicone cable that I'm currently using for the charge cables, I'm guessing this would be too big for the power pins on the 13 way plugs? And much care and thought and work neat! If you have the patience charge one at a time. After charge ends, leave on charge after the end as it beeps at you for 30 mins. Or GROUPS of them together in parallel, and adjust capacity from 12,000mah to 12,000 x however many cells in a group. As its faster. Then immediately separate every cell. And number them. And store them for a week or longer. Then charge 1 at a time, set to 12,000mah and see how many mAh you get back into each one. It will not be many. Maybe 10 to 100mAh before they are full again. Group them together so that all these mAh figures add up to the same in each parallel group of cells so that the same amount of total mAh will be lost when sat in storage. This way subsequent balancing will be faster. HEADWAY site is still selling obsolute 3.85V over-charge protection BMS. As are many other places. That's just a reseller/battery dealer. I use 3.55v, there is absolutely nothing up there apart from killing cells fast. The only reason they suggest 3.65 charge voltage is because it is an overcharge. That naturally balances cells slightly, helping the crappy 100ma BMS balancers out there. That one doesn't even reach 40ma until the cell is at 3.7V! It will certainly help battery sales! You may also notice they have continual balance and not just above 3.4v which unbalances the pack in the middle all day long, And the balancer takes a small current from one set of cells continually to power itself. Best to throw them away. 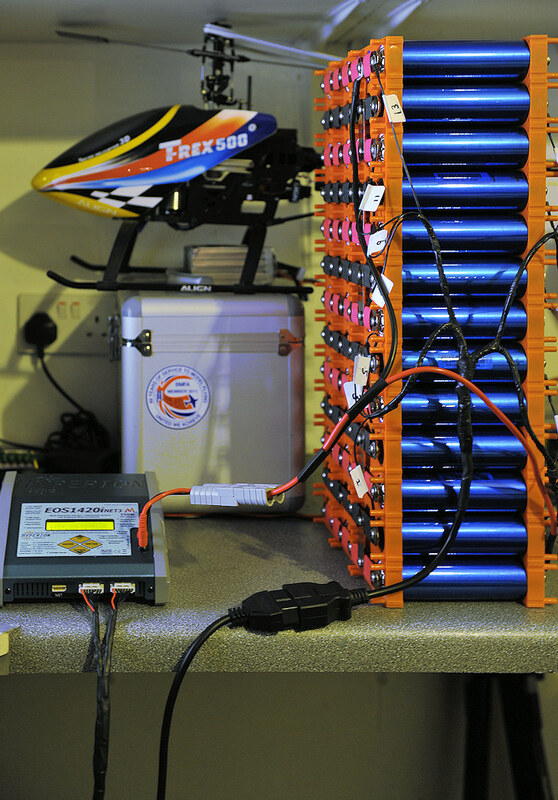 Most current hobby chargers have 1 to 3 amp balance. 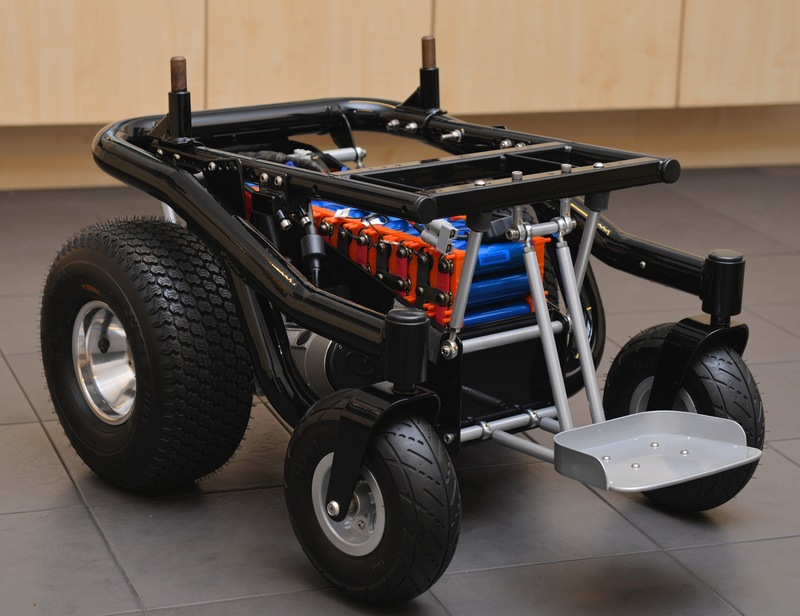 I would be very interested in lithium battery conversion, I am lucky if I get five miles with mk agm. What size AGM? If these are full sized GRP 24s they or the chair have/has a problem. Or are you just driving 5 miles and looking at a few lights gone out? Maybe they are defective. Maybe the chair has a problem. Maybe they are not charged correctly. Or 140 Mins at 25A before dead (10v). But your chair stops well before this due to low voltage. A 6mph chair takes 16 to 20A at 6mph if its healthy - so it should run for 2 hours and a half. (at 6mph that's your 45Ah used up). And so approx. 16 to 18 miles. If you don't get this you have a problem. (Hills, grass, lots of turning, flat tyres, or puncture free tyres, all have a detrimental affect. You can get the full 108Ah from a 108Ah lithium pack, (72 headway cells) and so get 108 div by 45Ah = 2.5x the range. Its actually possible to fit 120Ah (80 cells) too. That's 120Ah or about 3x the range. So 40 to 50 miles.